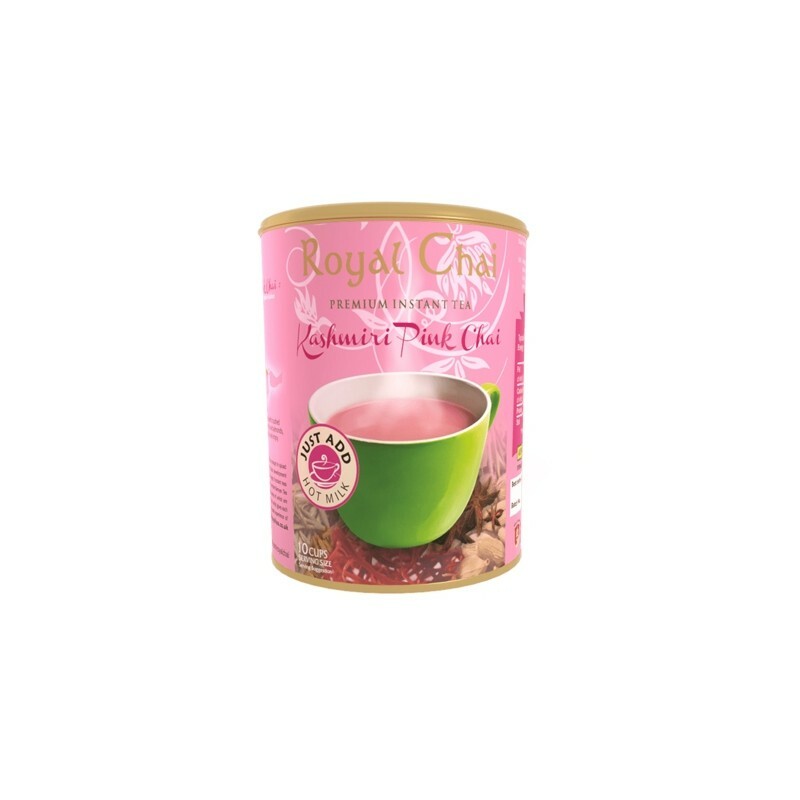 Premium Instant Sweetened Kashmiri Pink Tea (400g tub). 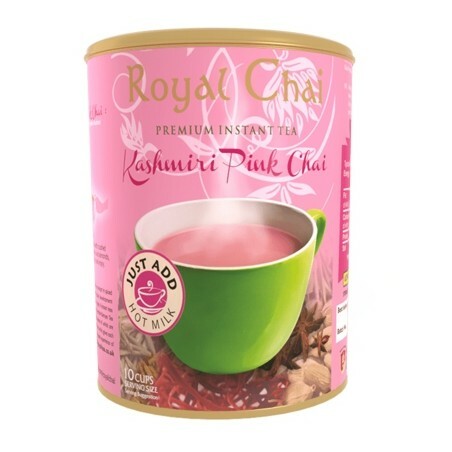 Now you can enjoy the famous Pink Tea from Kashmir in the comfort of your home-instant satisfaction! Available in Unsweetened version. For a true authentic taste, sprinkle a little crushed pistachio on top! Make with hot milk. Ingredients: Sugar, Skimmed Milk Powder, Green Tea Extract, Natural Spices (Cardamom, Ginger, Saffron), Beetroot. Use180ml of semi-skimmed or full fat milk (alternative milk products can be used) simply scoop the mix into a mug of hot milk and stir. Alternatively, mix the powder with cold milk, Microwave (800W) on high for 1 minute, stir and then microwave for a further 30 seconds, finally stir before drinking. Allergen Advice: See highlighted ingredients.